MrMC is a software media center for playing videos, music, and pictures. 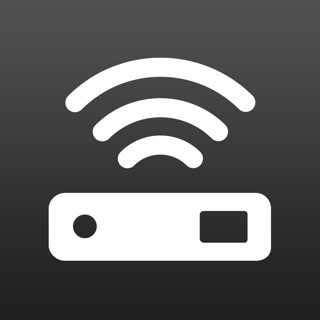 It allows users to play and view most videos, music, and other digital media files from local storage media and media devices/servers such as Emby, Plex, HDHomerun, TVHeadend and more. Unable to find Airplay or Chromecast support. Doesn’t appear to “scrape” properly my TV shows or movies on my home SMB server but it does play the videos properly. My observation so far it is your basic media player and hopefully the above will be corrected or added or I am out of a couple of bucks. app is missing very basic features. can’t navigate from watching video, can’t pause playing video etc..
Nice basic Media Player interface, KODI - like design, functionality could be better.. This is not (yet) the media center client I am looking for, to view, manage and play my movie collection from several NAS servers. Since I use the KODI media center app on my Windows 10PCs and like it, I thought MrMC (based on core KODI functionality) would offer me the same on my iPad, for a reasonable price. I probably won’t use the current MrMC since functionality is too limited for me, but I paid for it and I keep it installed to see if future versions add usability and tools I am looking for. I tested the app with the Opacity UI. A clean, contemporary design. Very nice. But it’s not a great iPad (touch) implementation, i did not find support for gestures, the lack of a home button means you have to click and navigate back through the layers of features, no easy jump from the end to the top of your long movie list..
Browsing large media collections is slow. One long list with thousands of movies, none of the usual navigation tools like alphabetic selection to show all movie titles beginning with ‘x’. It appears the UI automatically merges all your movie files from various network source directories together in one long list, whether you want it or not. Download of cover art and plot summaries works very well. Only one of my 670 test movies was not correctly identified. Other metadata does not work so well. Review ratings are only found and downloaded for some of the movies when I define IMDB Or MovieDB as source, or not at all from other sources like Rotten Tomatoes. Some movies seem to be randomly marked as HD, others with the exact same resolution are not. File size, data transfer rate or container file types are not shown (mkv, mp4) in the list or movie info. That makes the correct file selection difficult if you have the same movie in several versions. It’s hit or miss. I still recommend the app for users with smaller amounts of files and less storage or sorting complexity - but of course you don’t really need a media center app then..